In order for the average Canadian to understand the Indigenous land struggle in this country, I often use a simple analogy that paints a clear picture everyone can understand. 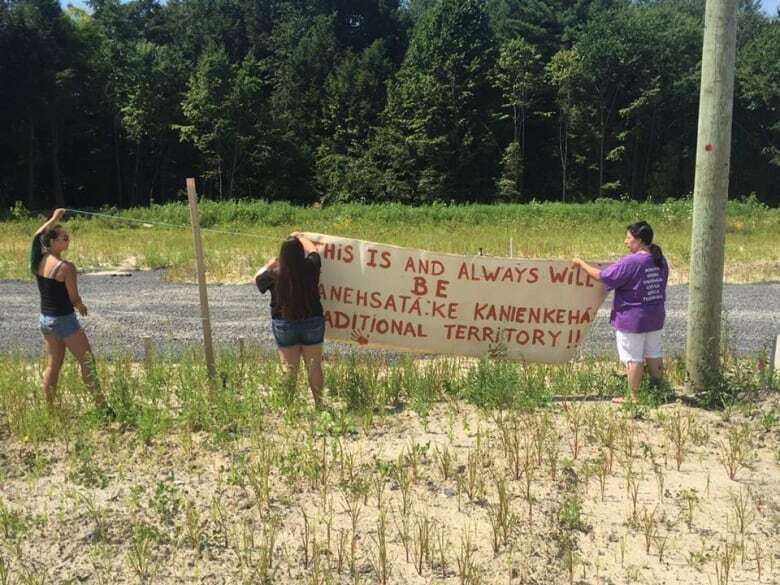 Last Saturday Kanesatake Mohawks and their allies marched from Oka Park to the disputed site just outside the village of Oka where, once again, their land is being sold by a non-Native developer. 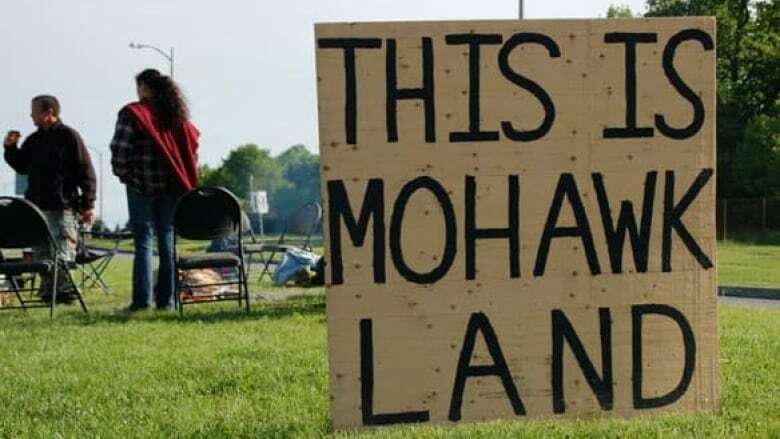 This is the same land we fought for in the so-called Oka Crisis in 1990; it's the same land our ancestors have lived on for tens of thousands of years; the same land the Peacemaker came to first compel us to bury our weapons against each other within the Haudenosaunee (Iroquois) Confederacy. It's a 300-year-old fight that is going nowhere. We don't want another Oka Crisis, but the truth is, the Oka Crisis never ended. I often use a simple analogy to help the average Canadian understand the Indigenous land struggle in this country. For the purpose of this op-ed, I'll expand on it. Imagine a time when you lived in a beautiful home, complete with a garden of abundant produce to sustain your growing family, with natural water sources to drink from, a plethora of wild game for sustenance, fresh air, and overall environmental harmony with the land. Then, one day, you come home and someone is living in your shed. Maybe, because you're kind to others, you let them stay because you have a heart; you want to help them out. Then one day you get home and someone else is eating from your garden – one meant to provide healthy fruits and vegetables for your children. Share and share alike, right? So you allow that person some food. The next day, more people are eating out of your garden. Your inclination is to call the cops, to get them out of your yard and protect what you've worked so hard to build, but you try, instead, to use a more human approach. They obviously need food, right? The more you give in, however, the more they keep taking. After a few weeks more of them move into your home: first the garage, then one of the bedrooms, until finally they end up in the living room, the kitchen, your bedroom, taking over your bathroom and clogging your toilet, consuming whatever you've worked so hard for, with no "thank you" in return. In fact, they demand more. Eventually, they kick you out of your own home and "allow" you to live in your car, your spouse to live in a tiny corner of the land, as they take your children somewhere, but you're not told where. When your children eventually come back – but not all of them do – they are a shadow of their former selves. Meanwhile, your pride in your once beautiful now destroyed home, that gleam in your eye you once held for everything you achieved in your life – in fact, for life itself – is gone. Because instead of living in your car, they've now pushed you to live solely in the trunk, to eat, sleep and use the toilet in that tiny space of a dirty confined area; one where you can't plant produce, you can't sustain yourself, let alone your family, and you think daily of how to end it. Your spouse is looking to you for guidance, help, something, but you have no answers. Your guests, meanwhile, have torn your house down and turned the space into condos; have dammed the fresh water and now charge you for what little trickles through. They're selling water from your backyard – which was obviously free before they arrived – and they've slapped fines on your dilapidated vehicle, compelling you to move it off "their" land or go to jail. But you can't because the motor was stolen long ago. Oh, and it doesn't have tires, and is rusting out really fast. There is no longer a host of wild animals around, in fact you haven't seen any for years, and you're growing hungrier by the minute. But you're reminded, every single day, that it's all "OK" and you should be grateful for the hard bread and dirty water they "give" you here and there. After all, that's partnership, eh? You both own the land together, right? So why not prosper together? Until one day you have a decision to make. Do you stay in this dreary scenario and accept that it will be like that for the rest of your natural life; that your children will hope for nothing better than a greasy, oil-soaked trunk of a vehicle that no longer runs, one that is now considered a nuisance because it pollutes the land, a car that has to move because it's in the way of some sort of new development? Or do you stand up, get out of that trunk, and fight with everything you've got? That is where Kanesatake and all other Native communities are today. Knowing all of the things our people have dealt with — understanding the struggle, the history of oppression, genocide, assimilation and control by successive governments; realizing this is still an unresolved issue in 2017 and politician after politician are doing nothing about it — is it really that surprising when the people stand up to fight for that tiny piece of the only thing they have left? 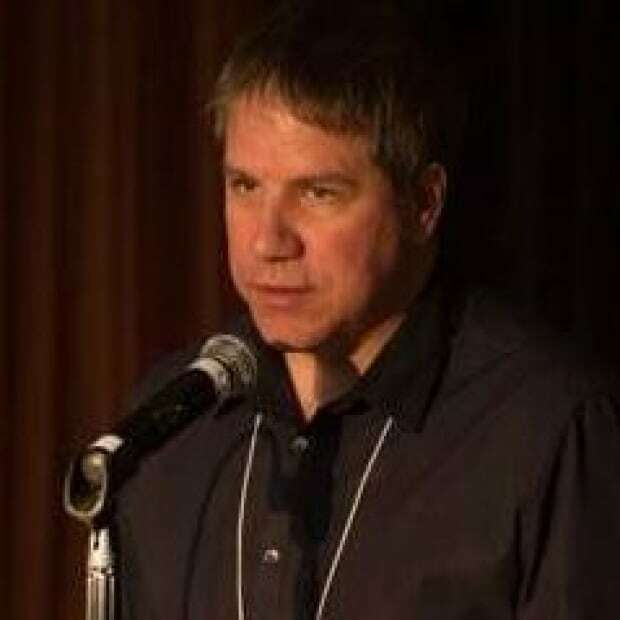 Steve Bonspiel is the editor/publisher of Kahnawake Mohawk Territory’s award-winning weekly newspaper The Eastern Door. He has won numerous provincial and national awards for his articles and editorials. Bonspiel is Mohawk, from Kanesatake, currently based in Kahnawake, Que.